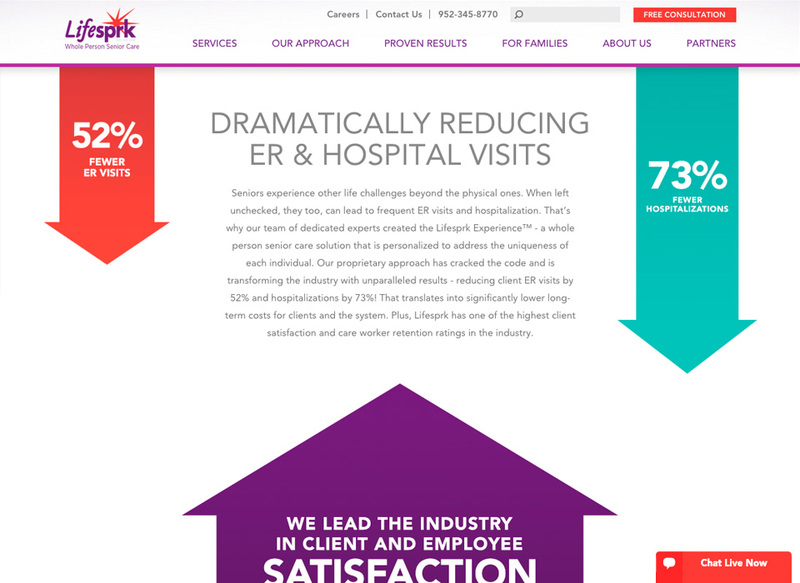 Lifesprk approached MJ Kretsinger to help them simplify their brand story, and then refresh their marketing materials with the new story. 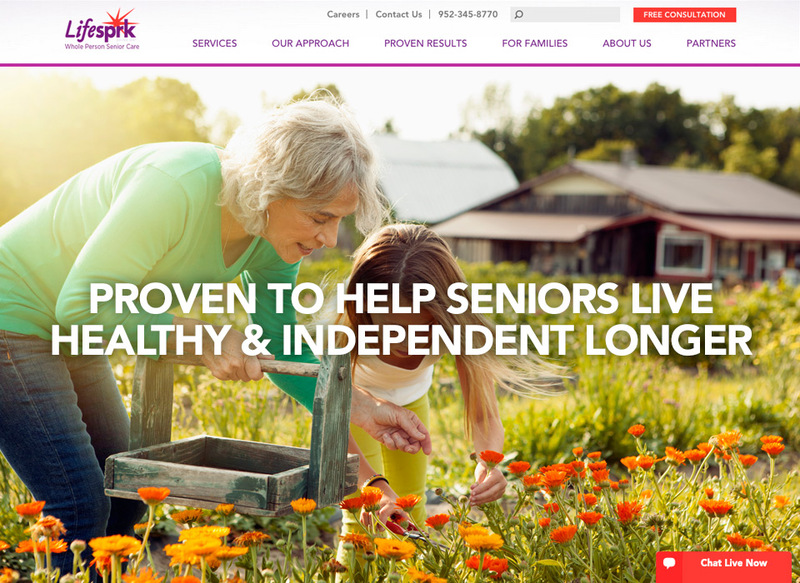 The initiative included key stakeholder and customer interviews, brand storytelling, a full redesign of their website and their marketing materials. 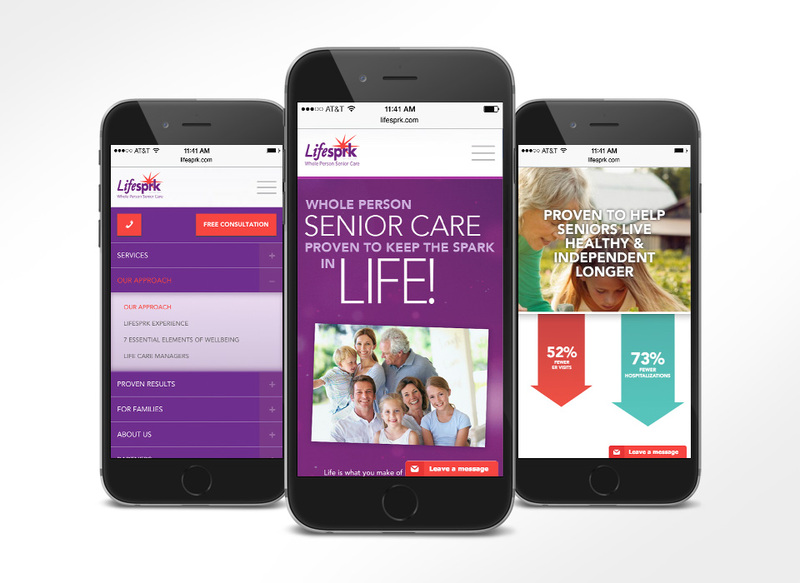 The previous Lifesprk website was not mobile friendly and was built on an older content management system that was difficult to maintain. 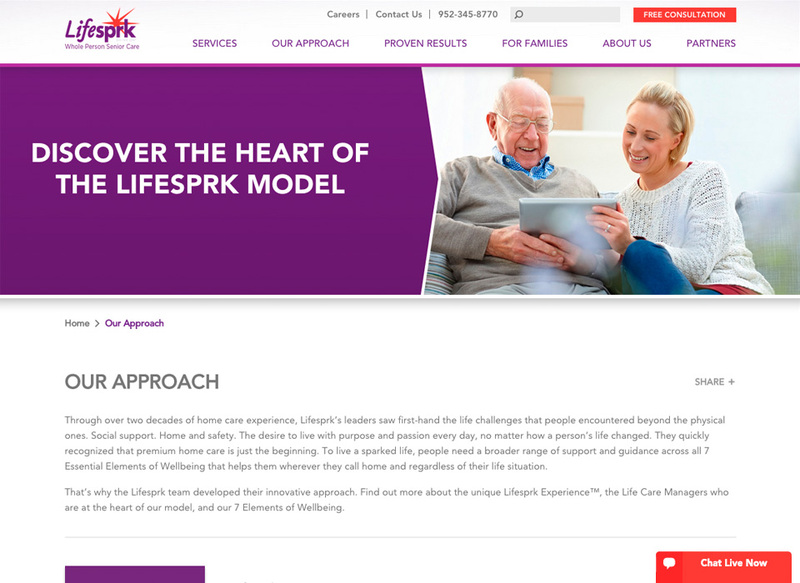 The new Lifesprk website was built on WordPress content management system (CMS). 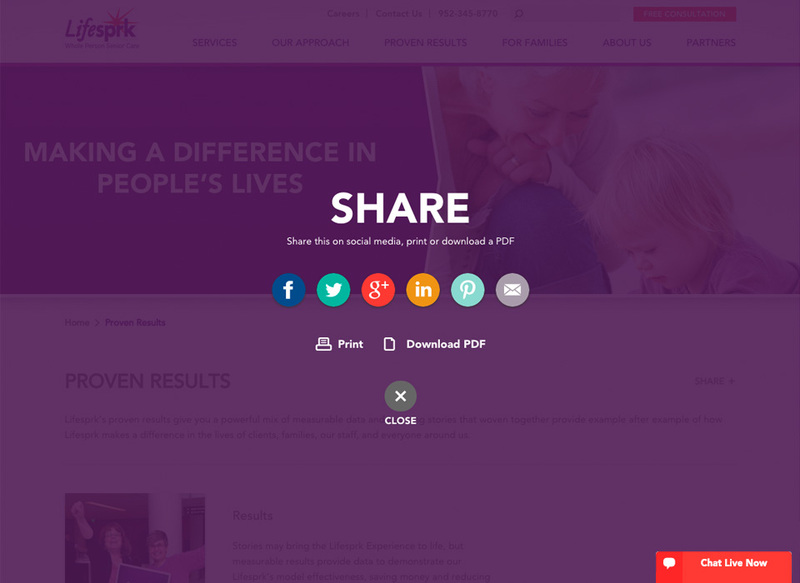 It was also made responsive so the website interface would scale fluidly across desktop and mobile devices. MJ Kretsinger used Parallax technology to give subtle animation effects to content as the user scrolls down the homepage. A mega navigation was included for greater usability. 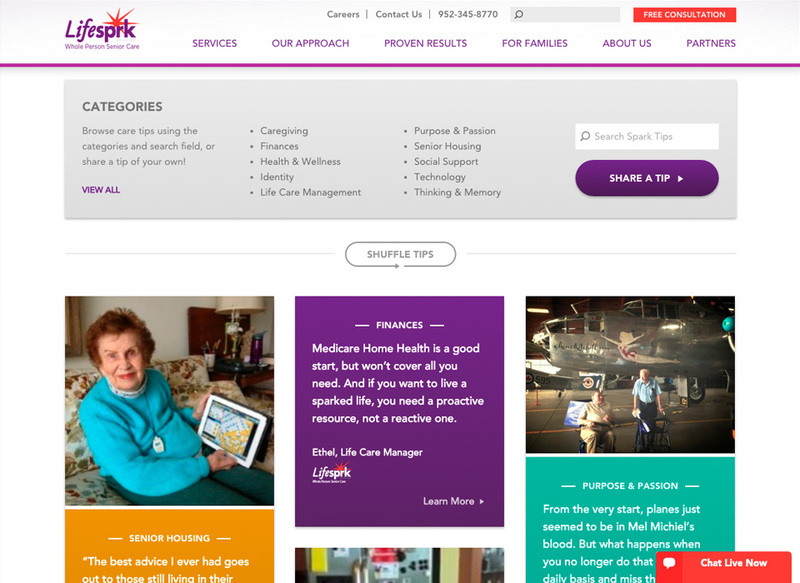 Right side and contextual banner ads were also provided to enable Lifesprk to promote related services wherever they wished. 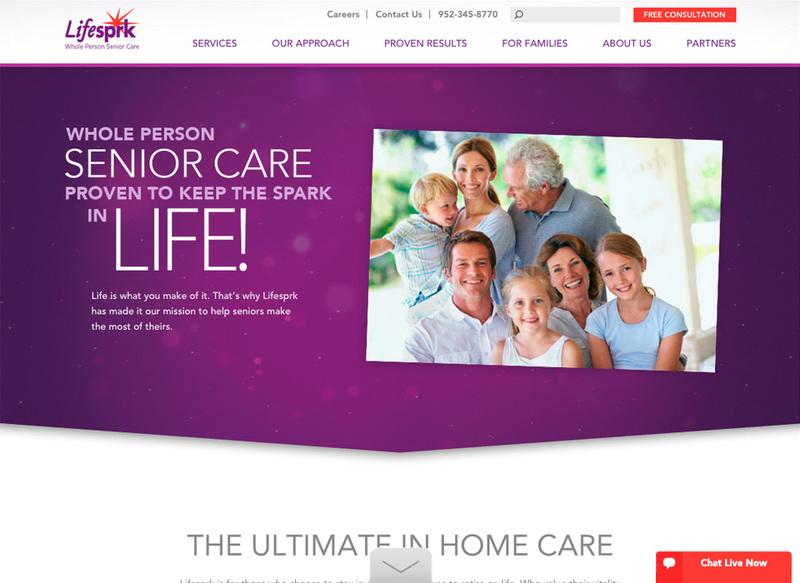 Users are also able to contribute care tips and testimonials to the site, or schedule a free consultation. 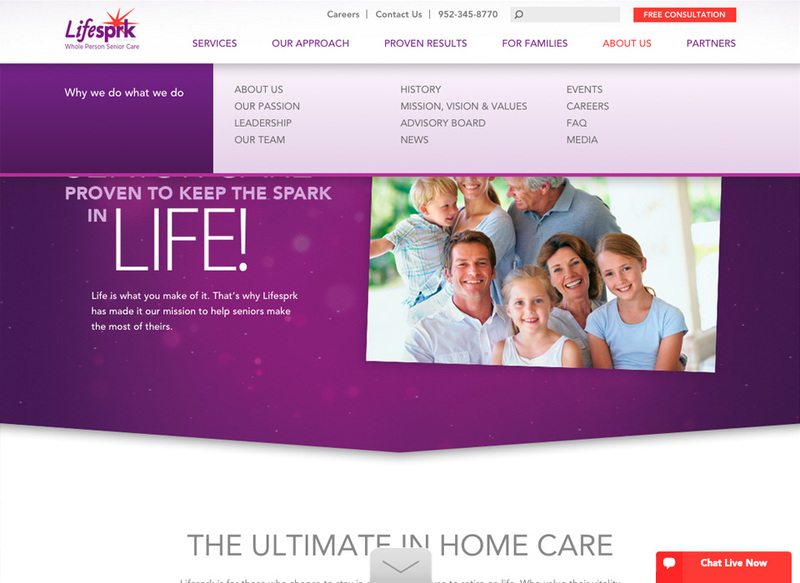 The website also includes two blogs and an area where multiple client stories are presented.